We spoke to Olympus at the CP+ trade show in Yokohama, Japan, shortly after the announcement of the OM-D E-M1X. 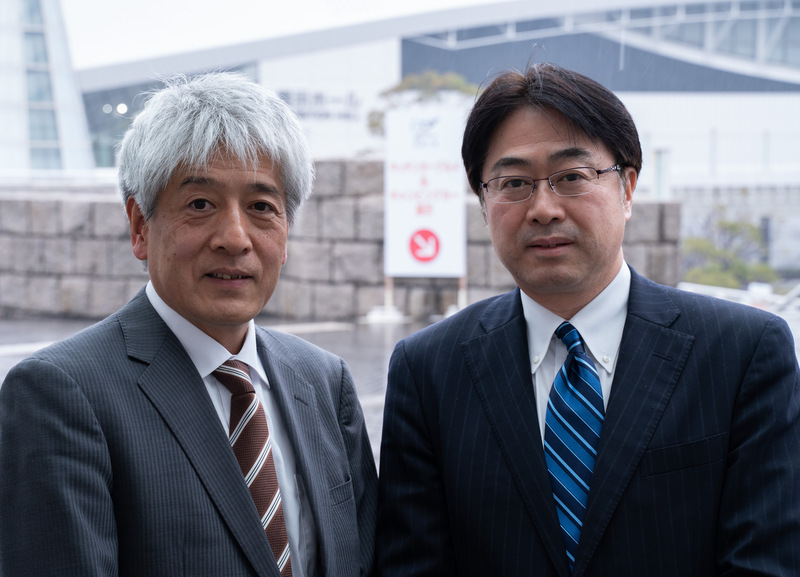 We spoke to Shigemi Sugimoto: Executive Officer, Head of Imaging Business Unit and our old friend Toshi Terada: General Manager, Global Marketing Department, Imaging Business Unit. We discussed a range of topics, from the company's new camera to its overall ambitions for Micro Four Thirds. Please note that this interview was conducted partly via an interpreter, and has been edited for clarity and flow. What's the response to E-M1X been like? We've been holding touch-and-try events in many places and have received a lot of very positive feedback from customers. Pre-sales orders are at expected levels and we have had a good start worldwide. The E-M1X is a model that requires a lot of consideration before users make a purchase, so we believe the users will read many reviews and learn about benefits of E-M1X before buying. I've attended some touch and try events and I was very pleased to see so many customers at these events. We're also been getting positive feedback from professional photographers. Some people may feel that the E-M1X is big for a Micro Four Thirds system. However, the feedback we're getting from customers that have actually tried the product is that it has changed their view. So we hope people will pick up our product and try it. Who is the E-M1X it aimed at? It's a part of our professional line, along with E-M1 Mark II. One of the user groups we're targeting is professional photographers, but also the high-level amateur, the enthusiast: they make up much of our target audience, along with the professionals. Do you think there is significant demand for sub full-frame professional cameras? Having received feedback from professional photographers, we feel that Micro Four Thirds’ benefits of being compact and lightweight can be appreciated in almost all photographic fields. Actually, we are seeing that there are many photographers who started using the Micro Four Thirds as their second camera, are going on to use it as their main camera. As a part of the professional series with E-M1 Mark II, we will evolve the basic performance and continue to offer innovative features. Also the E-M1X line-up will further improve the level of operability and reliability. 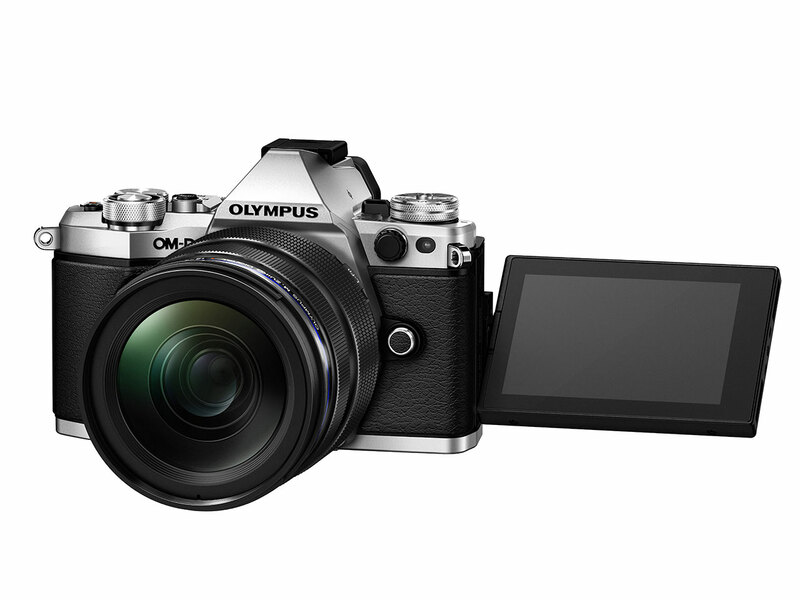 The OM-D E-M1 II continues alongside the E-M1X as part of Olympus's products for professional and enthusiast photographers. How did you choose the subject-types for the subject detection/recognition AF? Initially, we've chosen those three subjects that are really difficult to track by yourself, without any help, just using the single point or even using the group target area. They're really hard to chase, with a fast-moving subject. We also chose subjects where you need pinpoint focus - the kind of moving subject where it's really hard to focus precisely on one specific point, for example to focus on the rider’s helmet rather than just to detect a motor bike. That's the kind of subject where it's most helpful to have subject detection. If you get feedback from users, how difficult is it to train the system to recognize a new subject? At the moment we have three specific subjects that can be detected automatically and we're also looking to enhance the range of subjects, the types of subject. That is, if we can manage it using the current hardware, of course: at some point there is a limitation to the hardware. Also, subject detection maybe not be effective for every subject. We have prioritized the other subjects we could look at: I cannot tell you specific subject names but, as I said, the benefit of subject detection is pinpoint autofocus, [in situations] where we should focus on a specific point. And the kind of subject that's not easy to chase - that's the kind of subject we should select in future. In a lot of other brands' systems, the machine learning efforts have mainly concentrated on human subjects. Do you feel your system is already good enough at this? Humans are the most important subject for many photographers. We have face and eye detection already, of course. We know it's possible to improve those kinds of detection, though, so we feel we should somehow improve [our cameras' performance] in the future. Could you imagine a time where we might see different subject recognition modes in different models? This is one possibility: to choose which type of product should have what kind of subject tracking. We are just launching that kind of new technology, so we should listen to the market to find out how they are using it, or what kind of demand they are looking for. Depending on feedback from market we can consider how to implement this kind of function in a future model. The Micro Four Thirds system is fairly comprehensive, where are the gaps in your lens lineup right now? Our lens roadmap has been well received by customers. We have more plans for the future, and we will continue to listen to our customers' requirements. What kinds of lenses are your professional customers asking for? The high resolution of our lenses continues to satisfy professional customers, therefore we will continue building compact, high resolution lenses. 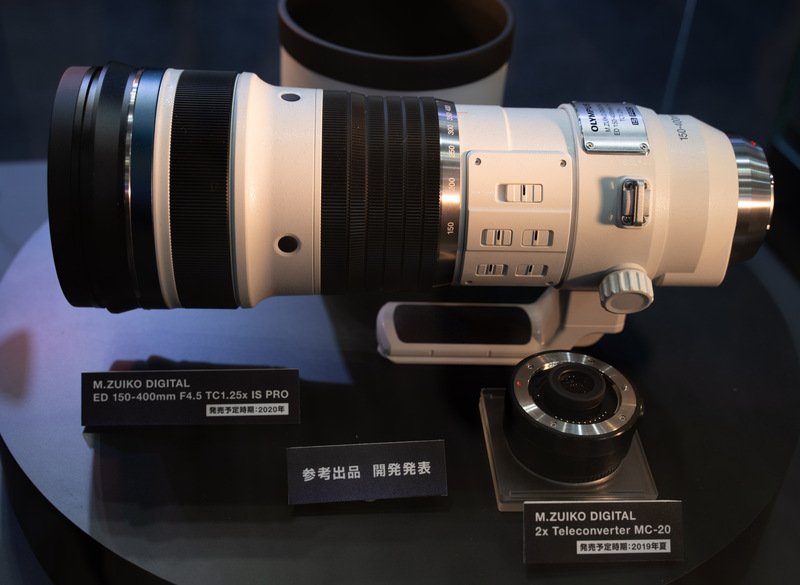 The 150-400mm F4.5 TC 1.25x IS PRO is going to launched in 2020: providing a level of reach that's difficult to match in such a compact form. We plan to launch several lenses every year and, of course, there will be releases of lenses before the 150-400mm PRO launch in 2020. So, please look out for a more information about our forthcoming product releases. How much demand are you seeing for video features in your cameras? As you may recognize, the demand of video capability is increasing. We are, of course, trying to catch up that kind of technology. Videographers are seeing our potential in terms of superb image stabilization performance in a compact and lightweight package. Our stance for video is not changed: our products are stills-based cameras that also can capture video. We're not a pioneer in video technology but we know it's become a necessary technology for photographers, and we have heard from videographers saying they see the benefits of our powerful image stabilization and lightweight system for their video recording. So we're working to offer a unique video capability for these videographers as well as for photographers who record video. What effect, if any, do you see HDR displays having on photography? If that kind of display is getting popular in the market, then maybe we should consider our output take advantage of that display character. If performance of current displays makes it worthwhile, to have some other kind of the gamma, perhaps Log character, then why not? It's just a different kind of Raw development, effectively. We can process images to suit the current display technology or for printing or we can process for a wider DR display: it's really flexible. In the case of video footage the data file becomes larger to accommodate the dynamic range, but in stills it's easier. In still photography the dynamic range is defined by the image sensor [so the information is already in the Raw file]. It's a kind Raw development challenge, we'd just need to optimize the algorithm. We will keep looking at the standards and the level of performance of these displays: if we find we need to optimize for the display, why not? It all depends on whether there's a market for this kind of display, whether it's worth developing. We have our own perspective because we're a camera and lens maker. For consumer electronics manufacturers, who are also making monitors, there might also be an element of marketing strategy. As you know, we are a very R&D-orientated company: we focus on the technology which is necessary. We're not from the marketing world, so we can look at these technologies solely from the perspective of whether they're valuable for photographers. How will you reassure fans of smaller, lighter cameras? Is there still interest? As you know, the E-M1X is a new product line for offering the benefit of a compact and lightweight system for users that require an integrated battery grip for telephoto shooting such as wildlife. The E-M5 line is important: we can reassure users we are planning a successor model. We can't give you the details of future models today, but we can say that we will continue with current lineup strategy and successor models will be coming. We'd like to mention that the E-M5 line is an important product category for middle users: we can reassure users we are planning to introduce a successor model. What advantages can you offer by using a smaller sensor (compared with those who've rushed to full frame)? Small/fast readout/easier to stabilize? The Olympus ILC system has been defined by the benefits of being compact and lightweight, right back to the time of the film camera. We will continue to offer the same benefit while focusing on Micro Four Thirds, this means our brand offers a single mount system for all customers, which makes it to easily understand and can be used for a long time with confidence. A single Interchangeable lens camera system offering high image quality, will continue to evolve as a system, to provide the significant values of compact and lightweight, high resolving power and image stabilization that full-frame cameras cannot offer. We consider our strengths to be that our cameras are compact and lightweight. High resolution power (means resolution lens) and also image stabilization as you know. Across our entire product lineup we are always looking to enhance these core technologies. What are the benefits to offering everything from entry-level to pro-level in a single system? It means to upgrade the customer doesn't need to change everything. You can keep using the lenses, of course. Also, if we change the [sensor] format size all sorts of things change. The aspect ratio might change, the depth-of-field changes, the effect of focal length changes: the angle-of-view is different - it's complicated. A single format system means don't worry about that kind of thing. Your existing experience can be carried over to the next model. Which types of photographer/photography benefit most from balance of size/Image Quality that Micro Four Thirds offers? We believe that all types of photographers will benefit from shooting with Micro Four Thirds. The value of compact and lightweight system offers photographers greater freedom in shooting across many fields. For example in landscape or bird shooting, users traditionally have to shoot from a fixed point, using a tripod. However, our system offers new shooting styles such as handheld telephoto shooting thanks to its compact and lightweight system together with strong IS. In this way our system is expanding the photography shooting range for cameras. 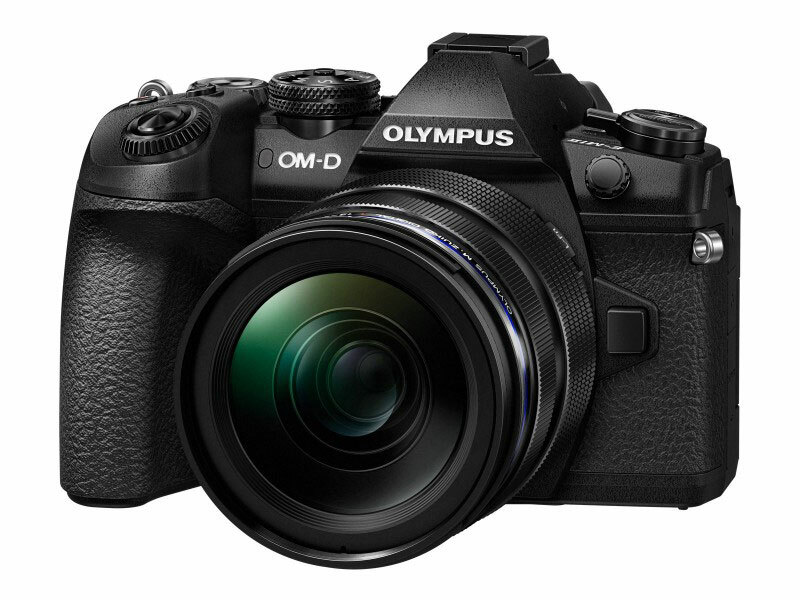 Will the Digital Imaging division always be a small part of Olympus's overall business, or do you hope it might one day rival the medical division? Olympus has three business domains: Medical, Scientific Solutions and Imaging. Through these, Olympus is contributing to the society by 'Making people’s lives healthier, safer and more fulfilling'. The role of the Imaging business is to make people's lives more fulfilling through our products, mainly cameras and lenses including related services. We would like to deliver the joy of capturing and expressing special moments through photography to as many people as possible. Also, the imaging business is contributing as a technology driver regardless of its business size, in terms of the advanced digital technologies, Low-cost production and design technologies, and Mobile technologies. Olympus is one of the few companies not currently expanding into a new mirrorless format. Given how expensive it is to develop a wholly new system and how much competition there now is (in a market segment whose potential size is still unknown) this is understandable. The decision leaves Olympus in a position where it needs to clearly communicate the appeal of its system: cameras that can't necessarily match the image quality of larger systems but that can be smaller and lighter, as a trade-off, and this was a recurring feature of our conversation. The use of a smaller sensor is also part of how Olympus is able to offer the ridiculously good image stabilization in the E-M1X and, potentially, more video-capable models in future. The thing I was surprised wasn't mentioned more was how extensive the Micro Four Thirds lens lineup is. As the originator of the modern mirrorless system, Olympus has comfortably the most extensive lens lineup for this style of camera. Of course the quandary is: once you have a lens lineup that stretched from consumer zooms to a trio of F1.2 primes, what else do you do, if the message of small and light isn't reaching a wide enough audience? Mr Sugimoto is right to say that the E-M1X makes a lot more sense once you've held it: it may look like a massive pro-sports DSLR but is well judged so that it's big enough to feel comfortable with a large lens on it, but small enough to offer something distinct from the likes of the big twin-grip Canons and Nikons. Personally, though, the thing that stood out was the confirmation that the company is working on a third-generation of E-M5. I consider the original version to have been the first genuinely great mirrorless camera and think it's the perfect type of camera to take advantage of the Micro Four Thirds lens range.